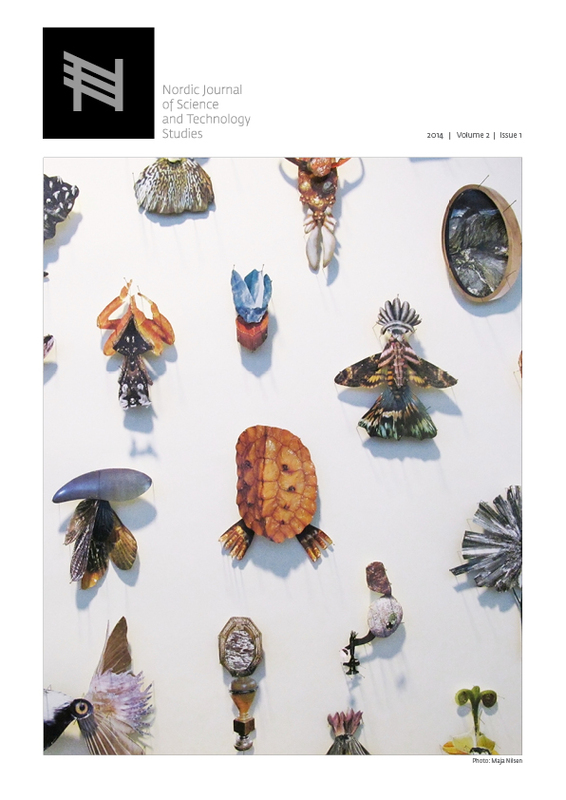 This special issue of the Nordic Journal of Science and Technology Studies is interested in how nature, in different versions and forms, is invited into our studies, analyses, and stories. How is it that we “write nature”? How is it that we provide space for, and actually describe the actors, agents, or surroundings, in our stories and analyses? The articles in the issue each deal with different understandings of both the practices of writing and the introduction of various natures into these. In this introduction to the issue the editors engage with actor-network theory as a material semiotic resource for writing nature. We propose to foreground actor-network theory as a writing tool, at the expense of actor-network theory as a distinct vocabulary. In doing this and pointing out the semiotic origins to material-semiotics we also want to problematize a clear-cut material approach to writing nature. Asdal, K. 2012. Contexts in Action—And the Future of the Past in STS. Science, Technology & Human Values 37 (4): 379–403. Asdal, K. 2014. Versions of Milk and Versions of Care: The Emergence of Mother’s Milk as an Interested Object and Medicine as a Form of Dispassionate Care. Science in Context 27 (2): 307-331. Asdal, K., Brenna, B., and Moser, I. B. 2007. The Politics of Interventions. A History of STS. In K. Asdal, B. Brenna, and I. B. Moser (eds.) Technoscience: The Politics of Interventions, 7-53. Oslo: Unipub. Brenna, B. 1998. Historiefortelleren: En refleksjon over “Teddy Bear Patriarchy: Taxidermy in the Garden of Eden, New York City 1908–1936.” In K. Asdal, A. J. Berg, B. Brenna, I. Moser, and L. M. Rustad (eds.) Betatt av viten: Bruksanvisninger til Donna Haraway, 176-212 Oslo: Spartacus. Callon, M. 1986. Some Elements of a Sociology of Translation: Domestication of the Scallops and the Fishermen of St Brieuc Bay. In J. Law (ed.) Power, Action and Belief: A New Sociology of Knowledge, 196–233. London: Routledge and Kegan Paul. Callon, M., and Latour, B. 1992. Don’t Throw the Baby Out with the Bath School! A Reply to Collins and Yearley. In A. Pickering (ed.) Science as Practice and Culture, 343–69. Chicago: University of Chicago Press. Druglitrø, Tone. 2012. Å skape en standard for velferd: Forsøksdyr i norsk biomedisin, 1953–1986. PhD diss., University of Oslo. Greimas, A. J. and Courtés, J. 1979. Semiotics and Language. An Analytical Dictionary. Bloomington: Indiana University Press. Haraway, D. 1988. Situated Knowledges: The Science Question in Feminism and the Privilege of Partial Perspective. Feminist Studies 14 (3): 575–99. Haraway, D. 1989. Primate Visions: Gender, Race, and Nature in the World of Modern Science. New York: Routledge. Haraway, D. 1992. The Promise of Monsters: The Regenerative Politics of Inappropriate/d Others. In L. Grossman, C. Nelson, and P. Treichler (eds.) Cultural Studies, 295–337. New York: Routledge. Haraway, D. 1997. Modest_Witness@Second_Millennium.FemaleMan©Meets_OncoMouse TM: Feminism and Technoscience. New York: Routledge. Ingold, T. 2007. Lines: A Brief History. London: Routledge. Latour, B. 1992. One More Turn after the Social Turn: Easing Science Studies into the Non-Modern World. In E. McMullin (ed.) The Social Dimensions of Science, 272–92. South Bend, IN: Notre Dame University Press. Latour, B. 1999. On Recalling ANT. In J. Law and J. Hassard (eds.) Actor Network Theory and After, 15–25. Oxford: Blackwell. Latour, B., and Woolgar, S. 1986. Laboratory Life: The Construction of Scientific Facts. Princeton, NJ: Princeton University Press. Kveim Lie, A. 2008. Radesykens tilblivelse. Historien om en sykdom. PhD diss., University of Oslo. Moser, I., and Law, J. 2007. Good Passages, Bad Passages. In K. Asdal, B. Brenna, and I. Moser (eds.) Technoscience: The Politics of Interventions, 157–78. Oslo: Unipub. Riles, A. 2000. The Network Inside Out. Ann Arbor: University of Michigan Press.